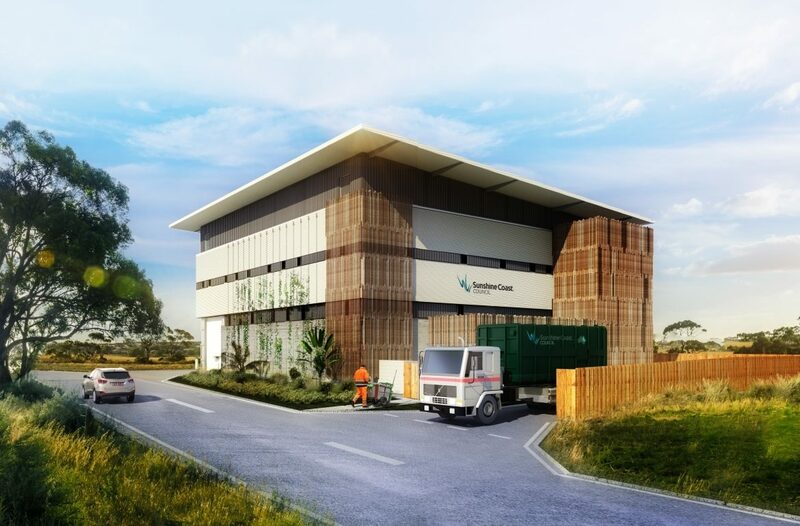 Kane Queensland have been engaged under a Design and Construct contract to deliver Australia’s first high-tech underground Automated Waste Collection System (AWCS) within the Maroochydore City Centre. The AWCS will transport waste from a series of public realm inlets located throughout the city centre via a network of heavy duty steel pipes to the AWCS collection station. Waste will travel at speeds of up to 70kmph through a 6.5km system of underground vacuum pipes. This new technology will increase recycling rates, promote sustainable waste management, and reduce congestion and noise pollution on city streets by eliminating trucks. The building is designed to be both aesthetically appealing and functional. The noise created by the mechanical equipment will be confined within the exterior walls so that neighbouring properties are not affected. Works on the new facility will be completed by December 2019.